Is there anything our canine companions can’t do? Introducing the service dog JJ. JJ has been trained to sense building allergic reactions for his owner(who has the alphabetically adorable nickname “KK”). 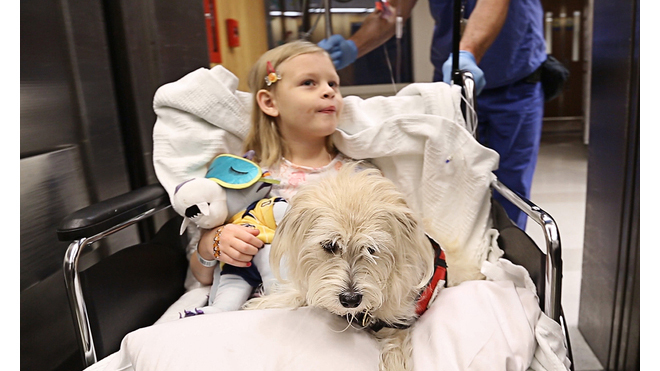 Recently JJ accompanied KK during an operation where he was able to keep anesthesiologist in tune with KK’s immunologic state.